Let's take a trip back in time to July 2010, I had just moved to Tampa and had a total of 3 friends in town, all of whom I knew prior to moving here. One happens to be one of my closest friends today, Lauren (Tampa Uncorked). Lauren and I were at Happy Hour one day and I was sharing with her my love of taking photos of food and posting on facebook (she is my facebook friend and was already aware of this habit). Lauren mentioned an app, where you can share photos of food with fellow foodaholics. Enter Foodspotting. This one app changed my life in Tampa. 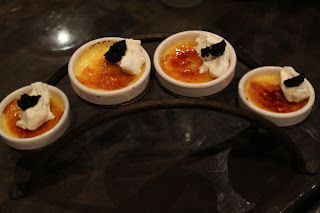 The very first food event I went to was in July 2011 with Dine Tampa Bay and Foodspotting. I was introduced to many of my current day friends through this app. It allowed me to meet multiple people who shared the love of food (and taking photos of what you eat). When I was asked to assist in hosting a Foodspotting Eatup in Tampa, I jumped at the opportunity. If you are unfamiliar with Foodspotting and like to share your photos online, I strongly suggest downloading the app today. 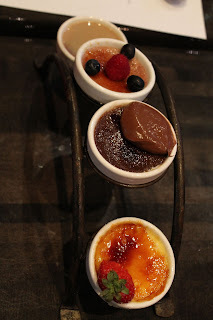 This past Sunday, myself and 14 other Foodspotters shared a table and multiple plates of food at at Clearwaters Besa Grill. 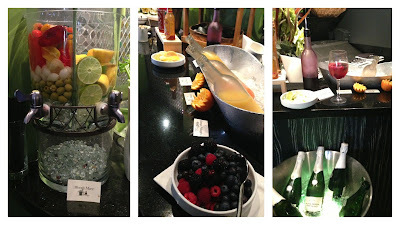 We were introduced to the newly launched Sunday Brunch at Besa. I am currently looking at my calendar, looking for my next adventure to Clearwater where I can experience this brunch again. 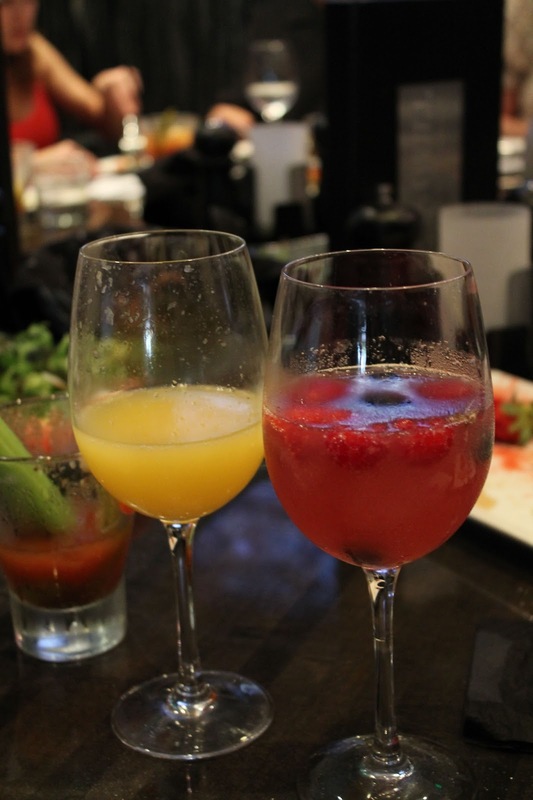 The first thing that excited me was that Besa Grill has a make your own bloody mary and mimosa bar - I was in heaven, especially when I saw the infused spicy vodka and infused citrus vodka. 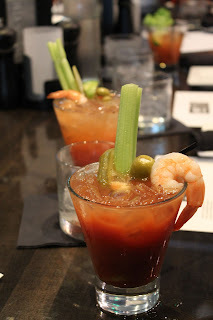 I promptly made myself a bloody mary, pickle and shrimp included - with the delicious perfectly spicy vodka. Our first dish of the day came out which was one of my favorites of the day. 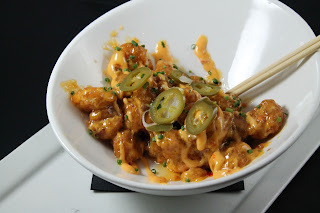 Besa Shrimp - Crispy gulf shrimp in a saracha agave aioli. It had the perfect amount of heat to it without being overly spicy. The pickled jalapenos were a perfect touch to this dish. 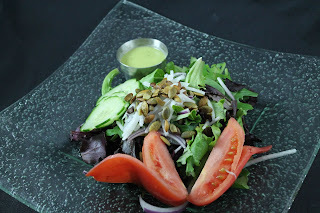 We then received teh Besa Salad with red onion jicama, cucumbers, pumpkin seeds and lime-cilantro vinaigrette. It is my goal to recreate that salad dressing. I would put it on everything! It was beyond. 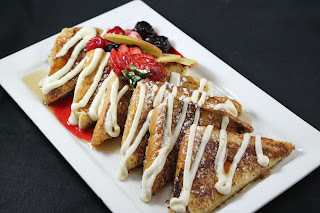 The next dish was Vanilla Bean French Toast - 3 sliced of Texas toast with a cinnamon vanilla bean custard and maple syrup. Where I am typically not a morning sweet tooth, I truly enjoyed this. The fruit was a nice touch and I would order this again! Around this time, I switched over to the Mimosa station, where I made myself a Dessert Pear and Orange Juice mimosa with a ton of fruit garnishes. It was so good, I may have poured me a second! 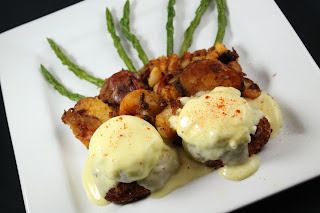 Following the French toast was another favorite of the day - Crab Cake Eggs Benedict - Poached eggs over lump crab cakes with homemade hollandaise and Besa home fries. Many people at the table agreed that using the Crab Cake instead of bread was a perfect option. This truly made the crab cake stand out. Our final dish was Steak and Eggs - Prime Rib w/ two sunny side eggs and Besa potatoes. 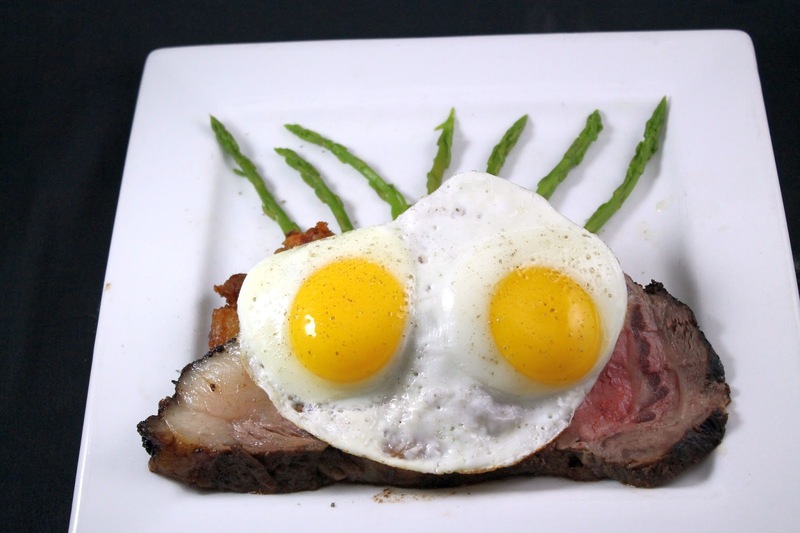 I really enjoyed the use of prime rib in this dish. At this time, I was beyond full and couldn't truly enjoy this amazing dish. The two bites I did consume were delicious and perfectly prepared. Out came desert and I couldn't say no. A tower of Vanilla Bean Creme Brule and a second tower of flavored Creme Brules - the Nutlella was my favorite of the group. 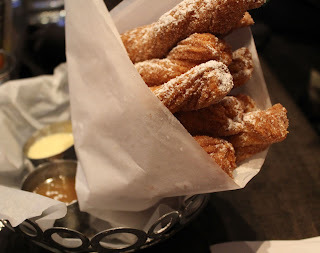 And just when you think it's over, out comes a basket of Churro's with homemade vanilla bean, chocolate and caramel dipping sauces. They were the perfect ending to this wonderful brunch. Thank you Besa Grill for an amazing Foodspotting Eatup! I look forward to many visits back to this Clearwater gem. Yum! My goodness I couldn't come!!! Awesome photo of the Bloody Marys!! That shrimp dish sounds sooo good!!! Great write-up Megan! Yu definitely rubbed it in! Lol!